“It’s cutthroat, but it’s really fun once you’ve made it.” Recently, E! announced their new series So Cosmo will debut in February. So Cosmo premieres on February 8th at 8 p.m. ET/PT. Wednesday, February 8 at 8 PM ET/PT on E! Before its time to delve deep into the world of Cosmopolitan, meet the unstoppable and fashionable forces behind the magazine. The “So Cosmo: Preview Special” will introduce E! viewers to former Editor-in-Chief and current Chief Content Officer of Hearst Magazines, Joanna Coles, as well as the cast of young people that work for her including: Diandra Barnwell (Brand Coordinator), Tiffany Reid (Senior Fashion Editor), Steven Brown (Bookings Director),Evan Betts (Fitness Contributor), Adam Mansuroglu (Fashion Editor), James Worthington Demolet (Senior Fashion Editor) and Leah Wyar (Executive Beauty Director). E!’s “So Cosmo: Preview Special” airs Tuesday, December 20 at 8pm ET/PT. 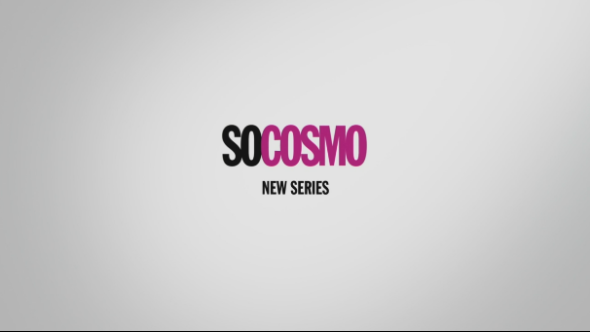 The series premiere of “So Cosmo” airs Wednesday, February 8 at 8pm ET/PT on E! “So Cosmo” is a Bunim/Murray Production with Gil Goldschein, Jeff Jenkins, Farnaz Farjam, Rob Bagshaw and Melissa Bidwell as executive producers as well as Joanna Coles and Holly Whidden from Hearst. What do you think? Do you read Cosmopolitan? Will you watch So Cosmo? More about: E! TV shows: canceled or renewed?, So Cosmo, So Cosmo: canceled or renewed? LA Clippers Dance Squad: New NBA Docu-Series Coming to E!